Last week I attended a grand opening party for the Manhattan branch of Forcella. There were tons of people there, and not quite enough pizza to go around. Since I’ve already eaten the fried pizzathat they’re famous for, I left those for others and I managed to snag a slice of the margherita. 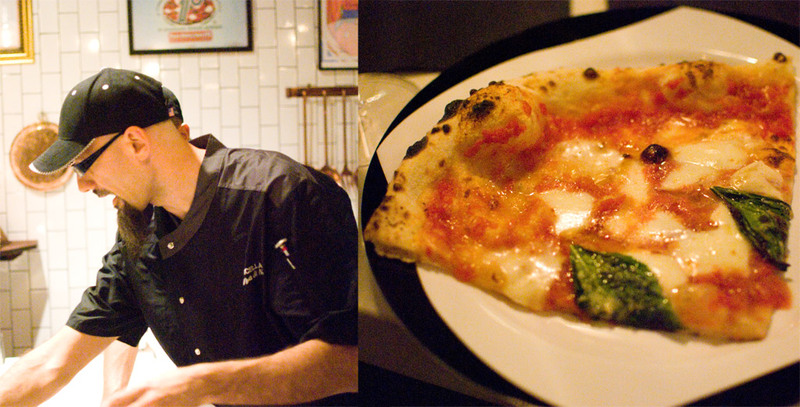 It was wonderful in its simplicity — light, thin crust, good sauce, great cheese. I also sampled a tasty tiny arancini, a salad with gorgonzola and pear, and fried dough drizzled with Nutella. 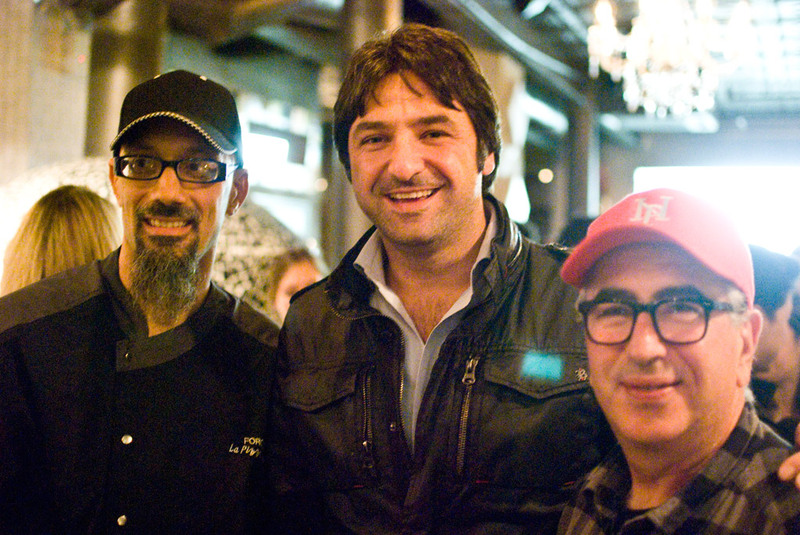 The highlight of the evening was running into my friend Paulie Gee, and I managed to snag this photo op of Giulio Adriani (Forcella), Rosario Procino (Keste), and Paul Giannone (Paulie Gee’s).